Being skilled at multi-tasking can often be the key to success. That won’t come as a surprise for those of you who work in a gaming company or another industry with a dynamic start-up mentality. Some of the most talented task-jugglers at Goodgame are our colleagues in the event team. The foursome coordinate and organize a huge range of events that make a crucial contribution to our team and company culture. As part of the communications department, they’re closely involved in keeping our employees informed and making them feel part of the company. The main objective is to offer all Goodgamers interactive platforms for exchange which complement other communication channels like our internal newsletter. We want to create a dialog between Goodgamers and the management, and of course to have discussion among Goodgamers as well. The team is also responsible for events held externally and with guests, and they help take care of the company’s public image. For this blog entry, we’ll summarize the key aspects of Goodgame’s events strategy and give you some details about the event team’s tasks. 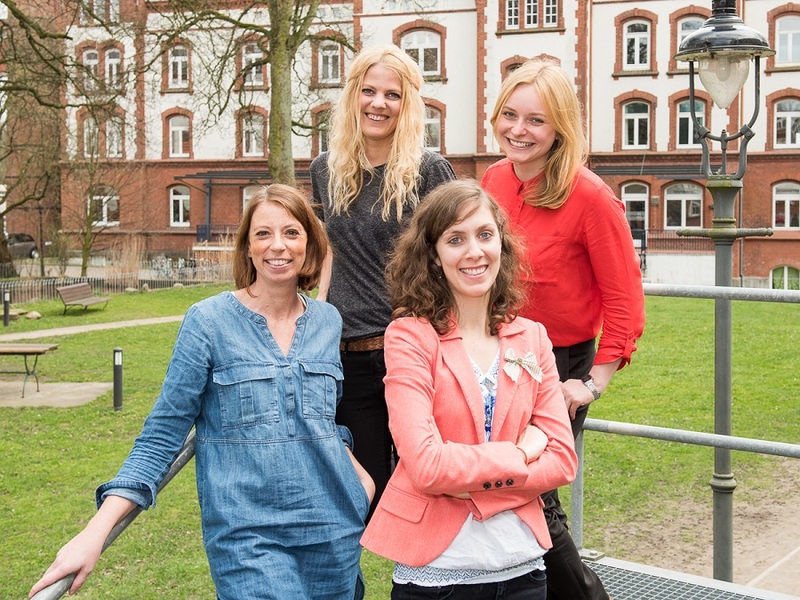 The event team is made up of Annette, Amelie, Kristin, and Stefanie. They’re all Goodgamers who know the company and their colleagues inside out, meaning they can tailor every event to our special needs and requirements. Indeed, the range of events we organize is as diverse as our 1,200 employees from over 60 nations. The fact that the team is at the heart of what’s going on in the company is a big advantage because it means issues can be dealt with quickly and flexibly and the various formats can be continually improved. One of the core tasks of the team is organizing our information events. One example is an event called “Management_unplugged”, where the company founders and other members of the management present their latest strategic thoughts and decisions. Employees can either join the live audience or watch remotely via a stream and ask questions in an instant messaging channel. In this way they can have a direct discussion with the management. Another regular event are the “Studio Showcases”, where our development studios present new products or give updates on our existing games. The showcases are a great way for everyone to stay in the loop and know what their colleagues are working on. Knowledge transfer is a hot topic at the moment and that’s something else we reflect in our event calendar. We want to give Goodgamers the opportunity to expand their game development skills and benefit from their colleagues’ expertise, so as well as “code jams”, we also organize regular “tech talks”. The talks look at specialized areas of development, from animation to performance testing. They’re given by Goodgamers for Goodgamers and are always well-attended. Along with these regular events, there are often special occasions which the team always manages to find great ways to celebrate, for instance for the launch of a new game, or the anniversary of our LGBTTIQ community “Gaymer & Friends”, or when our Feelgood team organizes a health day. In addition, if we have external guests, for example for a user group meeting or an excellence network like QX, the event team is of course also on hand to welcome the guests in style. As far as company and team events are concerned, ambition knows no end at Goodgame. For Christmas the event team organized a Winter Olympics-themed party, and in the summer there was a treasure hunt all over Hamburg. Photo booths and Moscow Mules are absolute essentials for a Goodgame party, although the event team prefers to avoid offering unlimited Jägermeister. Besides the company parties, every department also has a team event every quarter to improve team spirit. Organizing events for Goodgame Studios is certainly never boring. And just as in event management positions elsewhere, our four ladies need nerves of steel, excellent communication skills, and have to be flexible and quick-thinking to pull off their creative plans. As Amelie says, “I wish we had 8 arms to deal with all the different jobs we have to do at the same time. We’re basically project managers, craftsmen, technicians, psychologists and diplomats wrapped into one.” And when we asked them what’s the best thing about their job, we got different answers. First of all, their tasks and their working days are very varied – they’re often on the move and interact with people a lot of the time. In addition, they have lots of scope to be creative and come up with new ideas. And last but not least, they love being able to see the fruits of their labor – for example, when the event for the launch of Legends of Honor proved such a hit with the team that every colleague personally thanked them for organizing it.